SPACE PLANNERS Our company "Space Planners" , is a 15 year old company based out of Mumbai , in the area of Industrial , Commercial and office storage systems. Our expertise, has been to provide customised high quality storage solutions, based on the exact needs and usage of our customers. We have been providing these solutions to organisations across various Industrial segments. Our Product Ranges Are Broadly Categorised As Give Below: - Mobile Storage Systems ( File Compactors) - Industrial Lockers - Slotted Angle Racks - Heavy Duty Racks - Filing Cabinets - Accessories related to above products like cabinet files , hanging files , file stands , book ends etc. 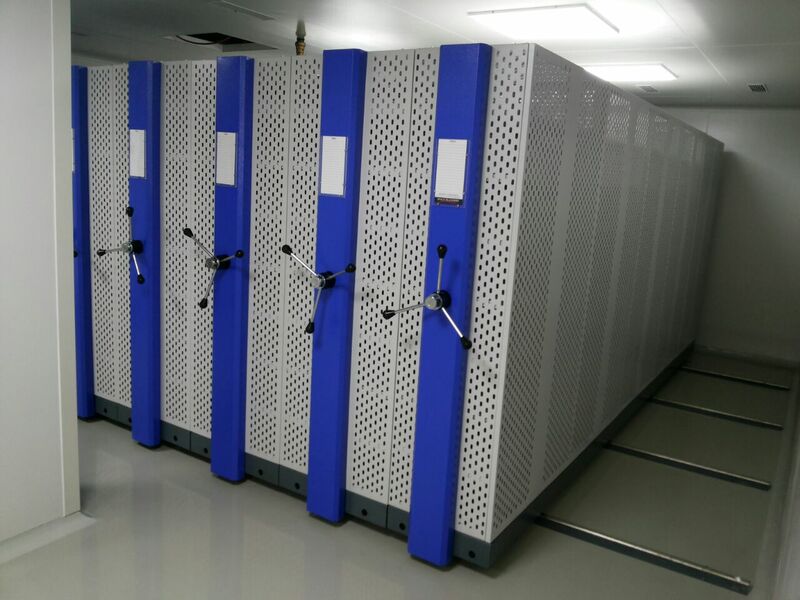 Mobile Storage Systems In Bangalore We are engaged in manufacturing and supplying of a wide range of Mobile Storage Systems with multiple shelves for storage purpose. Mobile Storage Systems Manufacturer In Bangalore We are engaged in manufacturing and supplying of a wide range of Mobile Storage Systems with multiple shelves for storage purpose. Mobile Storage Systems Manufacturer In Bangalore We are engaged in manufacturing and supplying of a wide range of Mobile Storage Systems with multiple shelves for storage purpose. Mobile Storage Systems offered by us are fabricated from finest quality raw material, hence are sturdy in construction and offer longer service life with best features in strength, durability . Apart from the standards, these mobile storage systems are also available in customized shapes and sizes as per the requirement from our valuable clients. Office Slotted Storage Racks Manufacturer In Bangalore The Range of products which we supply to the customers is inclusive of a high quality of Office Slotted Storage Racks which have been manufactured in an attractive manner. Mezzanine Storage Systems Manufacturer in Bangalore We manufacturers and supplies Mezzanine Storage Systems. Our Ranges are Mezzanine Floors, Mezzanine Storage Systems, Warehouse Mezzanine, Mezzanine Storage Racks.